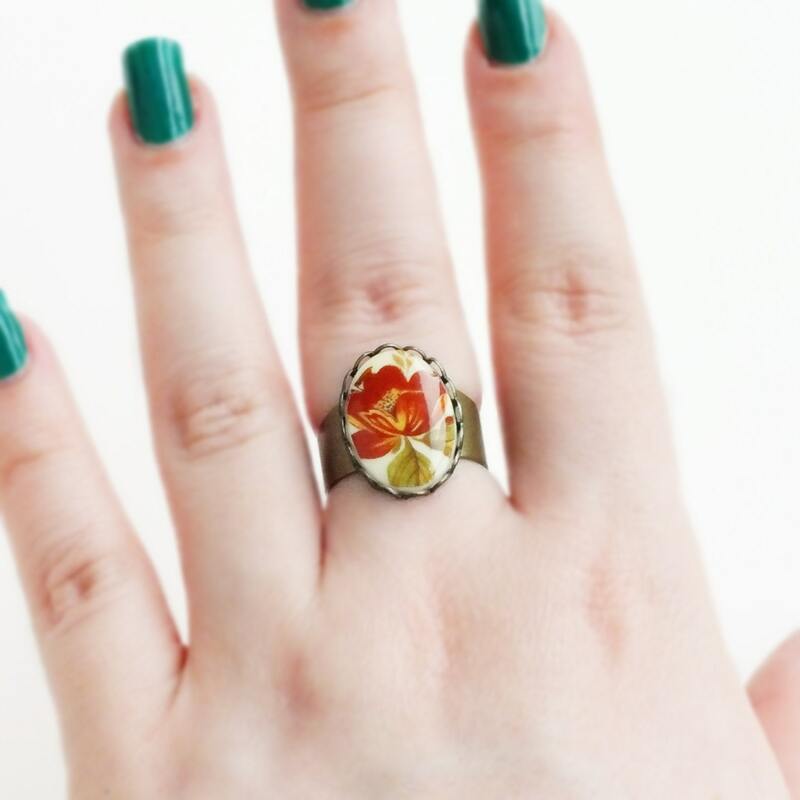 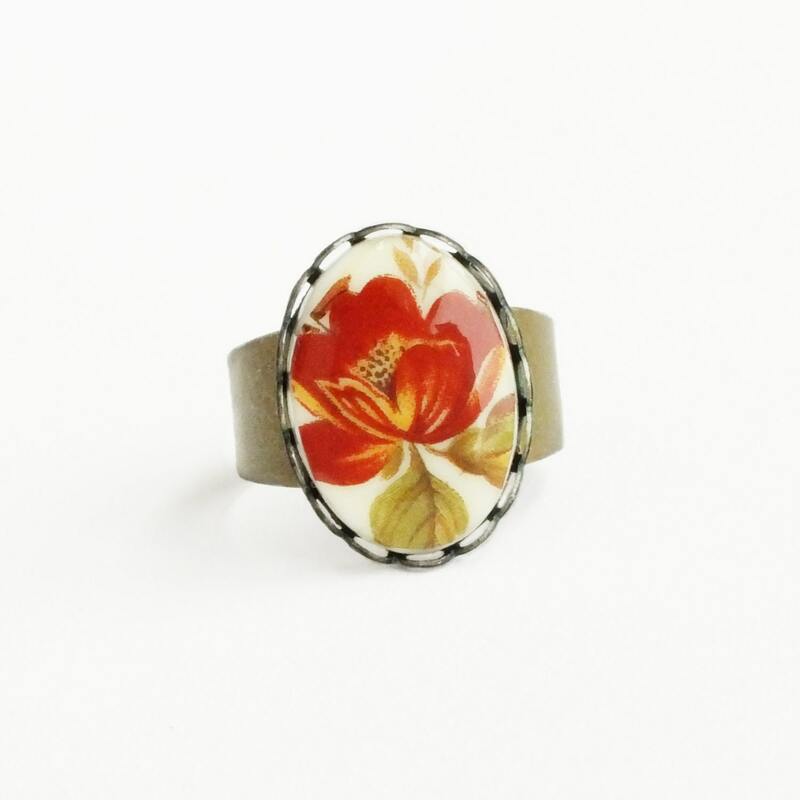 Victorian handmade red flower cameo ring with vintage floral cameo ring. 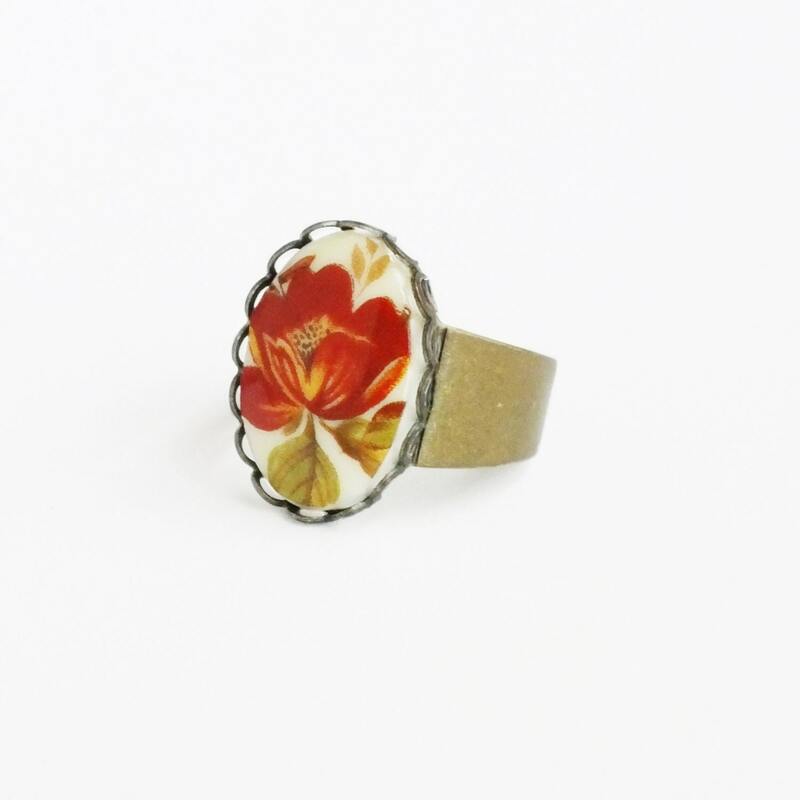 Victorian style ring made with a lovely limoge of rich brick red poppy blossoms. 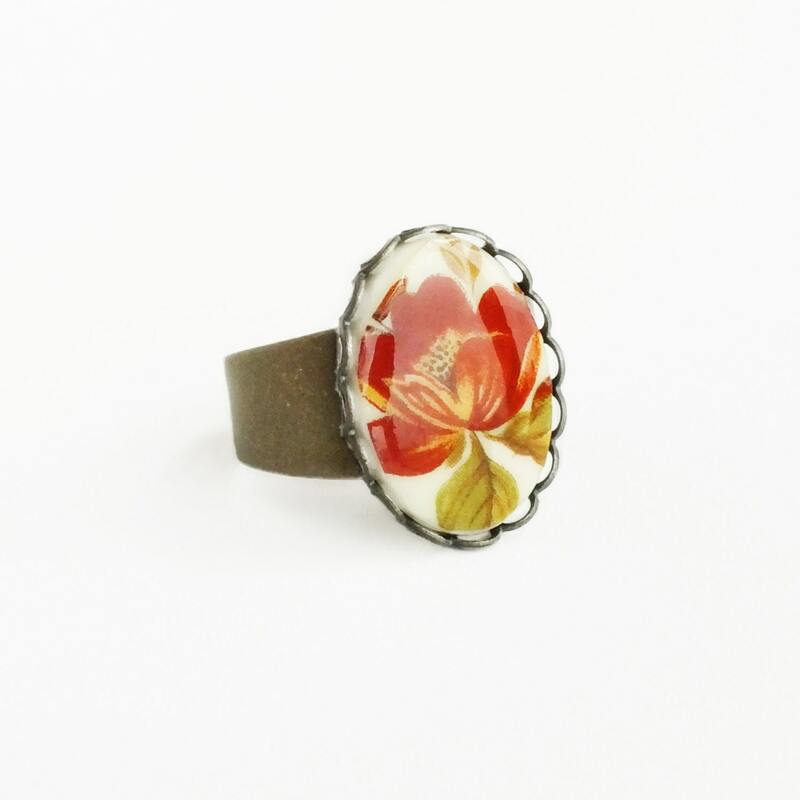 Set in a lace-edged setting and secured to a super comfortable sturdy adjustable antique brass band.